Contact Maryland Movers, Virginia Movers and Washington DC Movers – Get a FREE Moving Estimate by One of Our Moving Professionals! If you have any questions or comments for our staff, you are more than welcome to either write, e-mail, call us, or fill out this form to get a quick response from one of our sales representatives. Moving can be a very stressful event, so don’t waste more time and get started planning your move today. You’ll feel a lot better once you do. We promise! We look forward to helping you make this move an easy and comfortable move. Excellent experience. I was able to have a professional, timely, and efficient team of movers help me relocate under very stressful circumstances. The movers took time to pack …. I was very impressed and satisfied with Francisco and his crew. 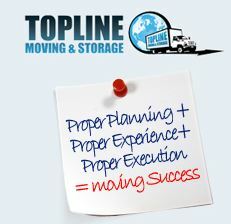 They were very professional and courteous regarding the move for my wife and I and we will use them again…..